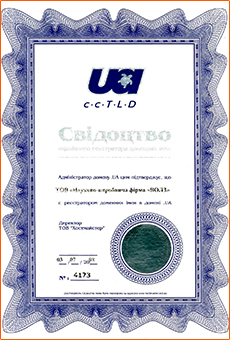 Since the founding of LLC "VOLZ" one of the main activities is the design and construction of linear channels of communication of any complexity. 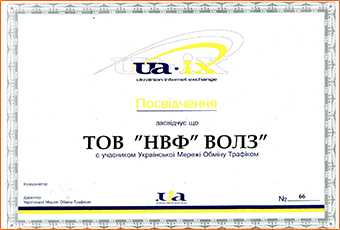 Providing of the fixed local telephony network with capacity of more than 10,000 numbers with the right for maintenance and operation of telecommunication networks and providing of telecommunication channels in the Kiev. 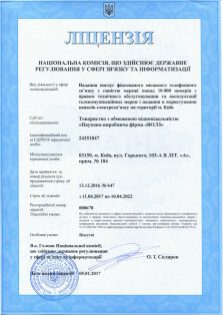 License for construction of objects of IV and V categories of complexity. 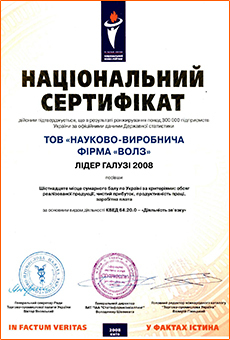 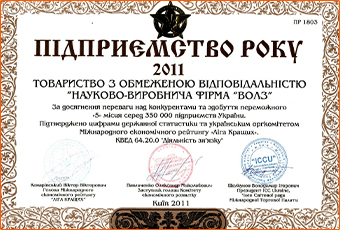 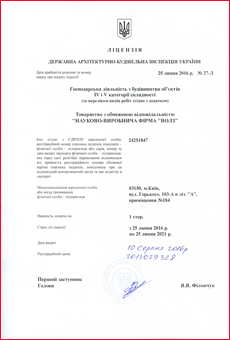 RPC OF THE YEAR 2011 LIMITED LIABILITY RPC "SCIENTIFIC PRODUCTION FIRM" "VOLZ"
For winning of the achievement of advantage and climbing on victorious "5" place among the 350 000 enterprises of Ukraine. 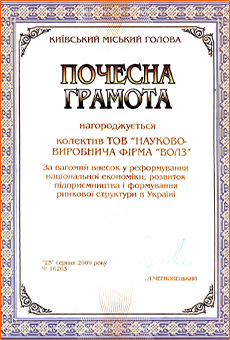 Confirmed by figures of government statistics and Ukrainian organizing committee of the International economic rating "The League of the Best". 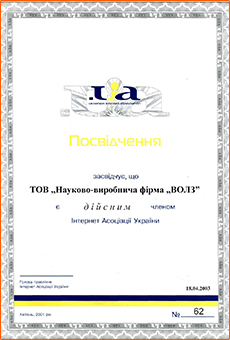 Awarded the team of the "SCIENTIFIC PRODUCTION FIRM" "VOLZ"